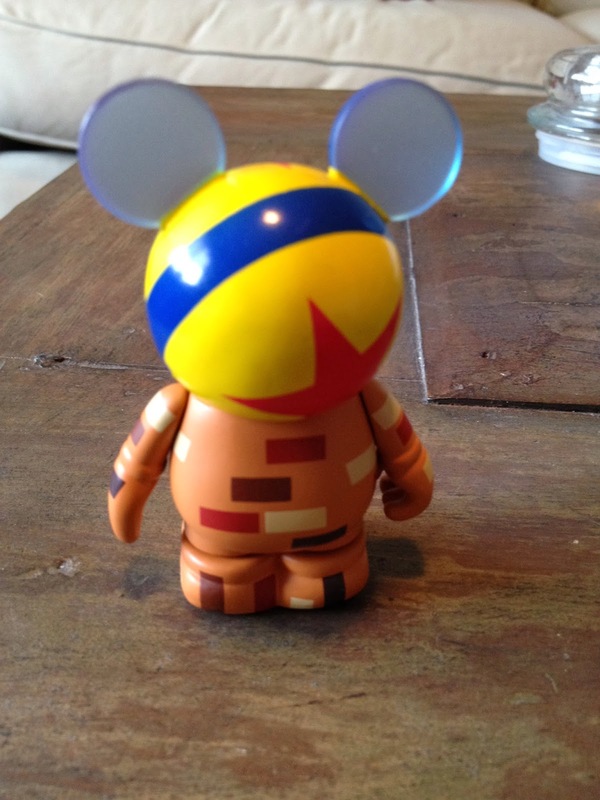 Here is the full set (minus the Luxo Ball Chaser that I hope to get) of the Pixar Series 1 Vinylmation! You can find these currently at Disney Stores. Fantastic! 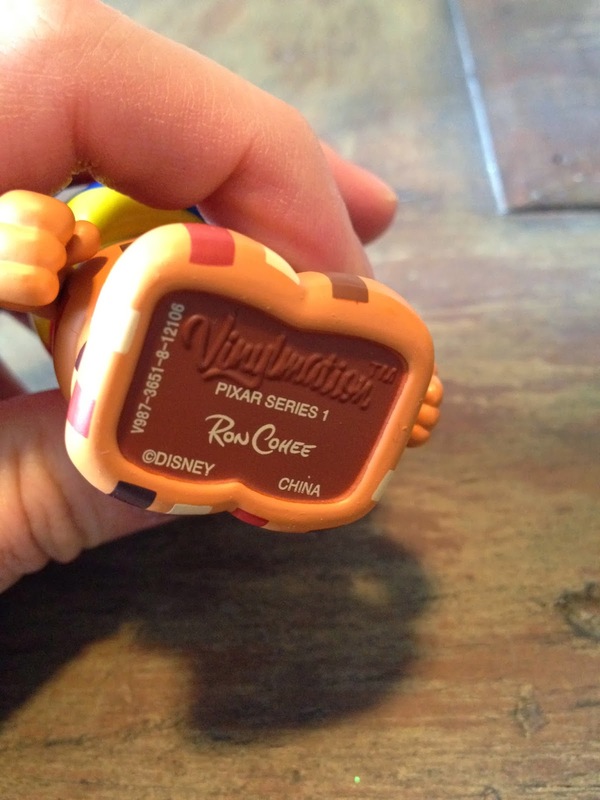 Finally, after a little over a year, I got the Pixar Vinylmation Series 2 chaser- the Luxo Jr. Ball! My Pixar Series, 1 & 2, is now complete. Who's ready for a Pixar Series 3? I love this design...such a creative idea for a chaser! One of Pixar's most famous icons. As you can see from the picture above, it actually looks even better from the back as it's more round and ball shaped! This chaser was designed by artist Ron Cohee as seen on the bottom of the figure. These three below- Francis from A Bug's Life, DJ from Cars and Crush from Finding Nemo are not from the Pixar Series 1 collection, but are from the California Adventure Park series (representing the Cars Land, A Bug's Land and Turtle Talk with Crush). 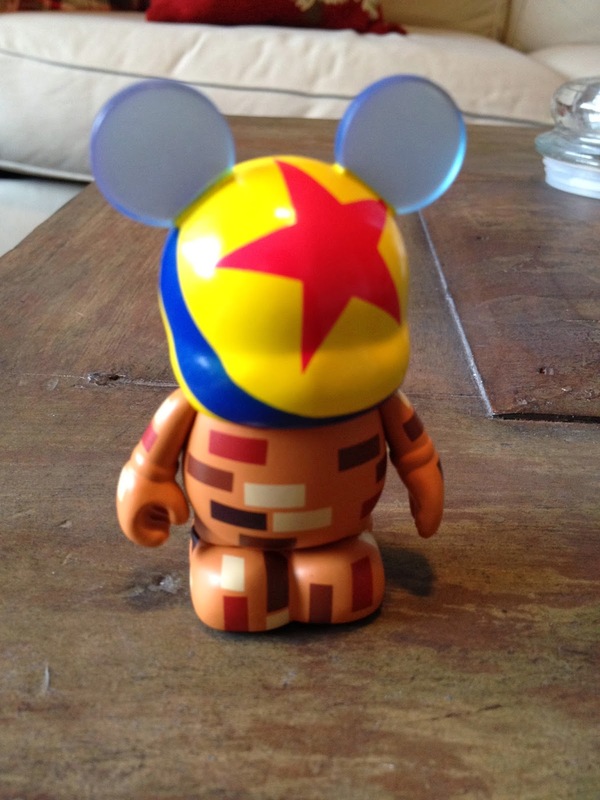 I put them with the Pixar Series 1, as I feel that, besides the little icons on the ears to represent the attractions, these fit in perfect with the others!